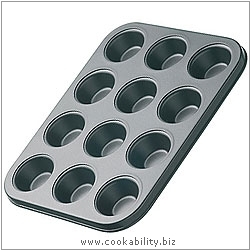 As well as mini muffins this pan is great for mini quiches, tarts and pies. Cups approx 40mm dia. and 20mm deep.